There are many laws in place to ensure that both partners are treated fairly under the law during separation and divorce. The law treats property gained during a marriage as divisible property so that a spouse who has sacrificed a career and financial opportunities for the benefit of the family is not left destitute at the end of the marriage. The couple is treated as a unit, and it is assumed that both spouses have an equal right to any property, other than exempt property acquired during the relationship, regardless of who earned it, because the non earning spouse’s contributions may have helped the earning spouse to succeed. An unpleasant part of divorce is that spouses often feel emotional and resentful toward each other and may not care about fairness, the law or the other spouse’s rights. Particularly if the higher-earning spouse was in charge of most of the finances, he or she may be tempted to not disclose the full extent of his or her financial worth. Although hiring outside experts can become expensive, if your spouse is committing fraud, you could lose a great deal of money in the property division process and in spousal support calculations. Additionally, the courts punish people who do not cooperate fully with the separation process, and sometimes award costs to the other party. Failure to fully disclose one’s assets certainly qualifies as failing to cooperate. Looking for a Toronto Marital Hidden Assets and Fraud lawyer? If you feel your partner is not being honest about his or her property, let us help. We can advise you as to your rights and help you make sure that your partner gives you full financial disclosure. 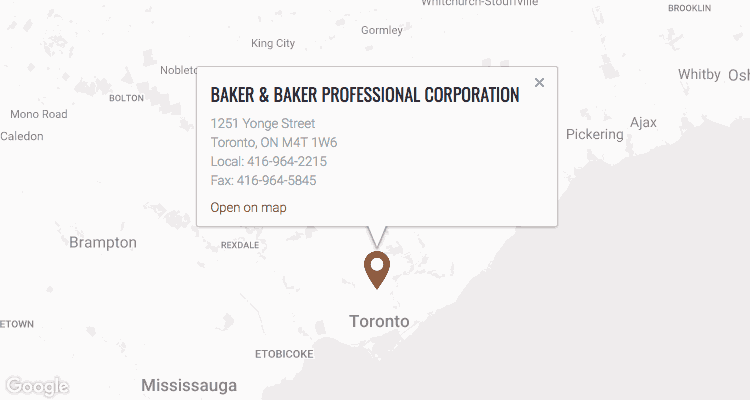 Contact Baker & Baker at 416-964-2215 or by email for more information.